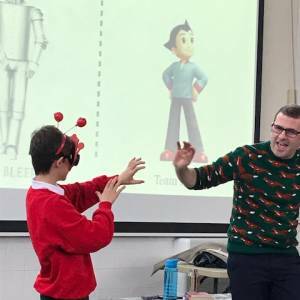 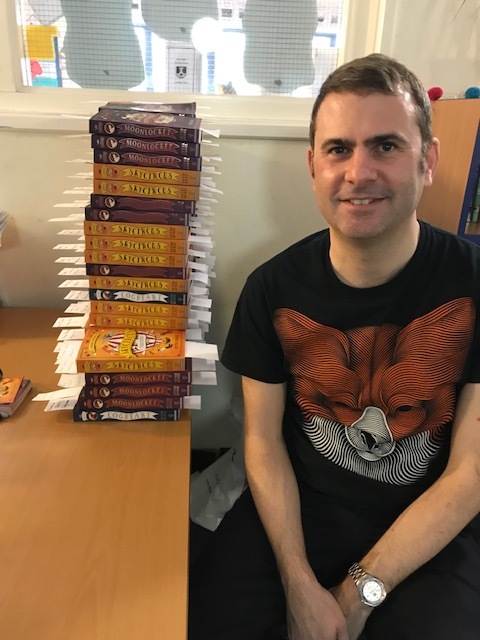 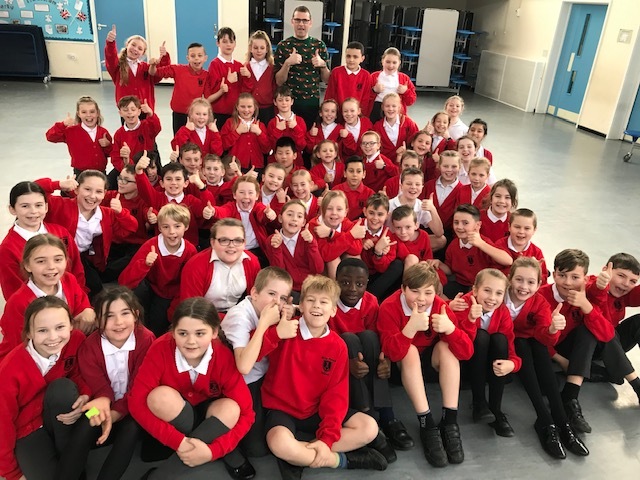 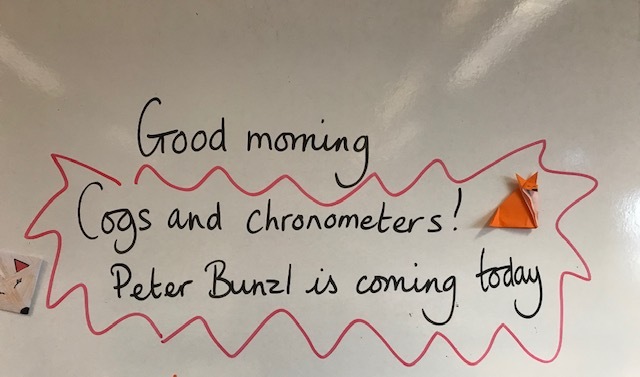 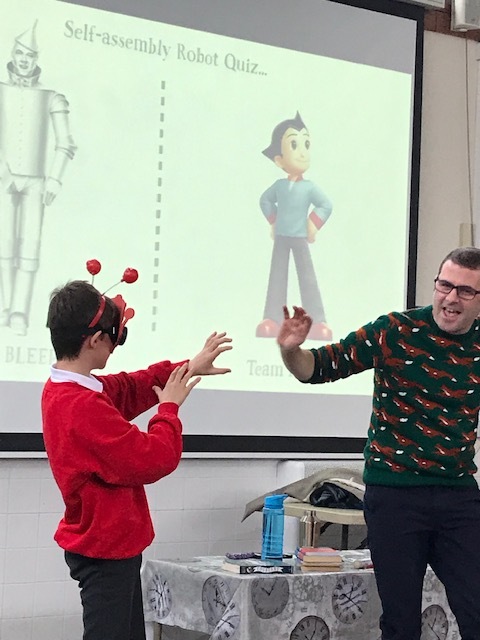 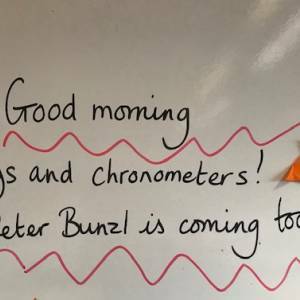 What a wonderful time we had in Years 5 and 6 when award-winning animator and author Peter Bunzl came to Keep Hatch. 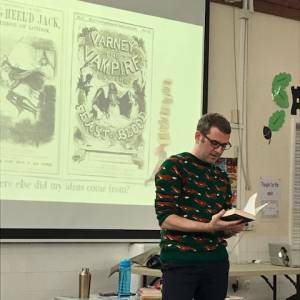 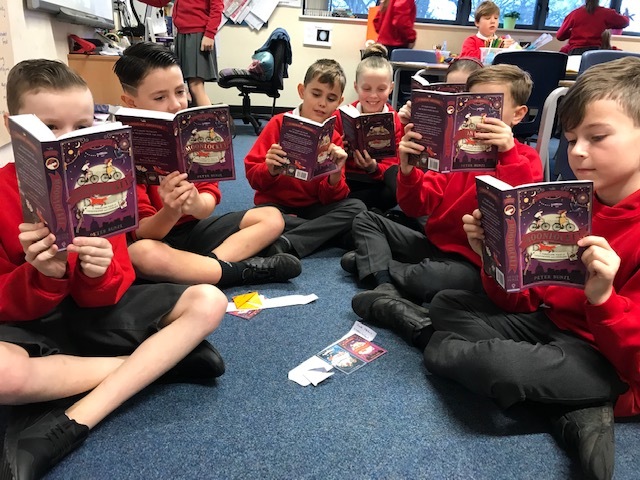 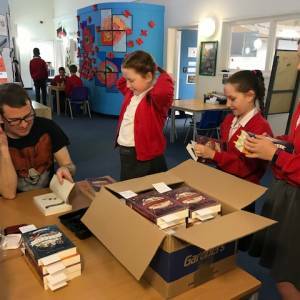 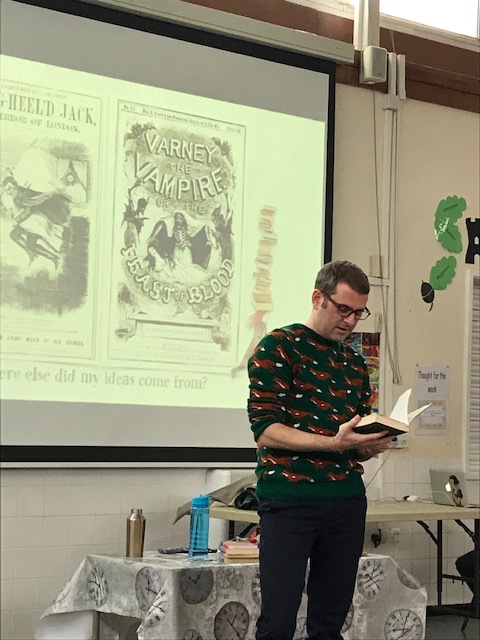 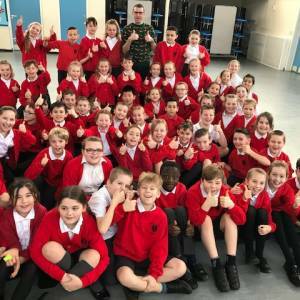 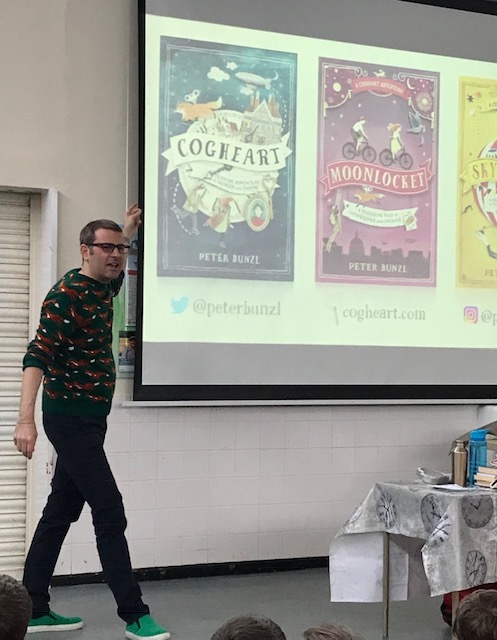 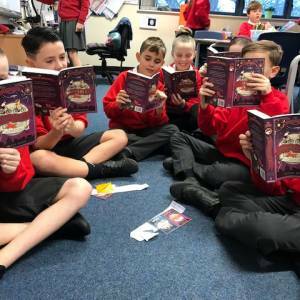 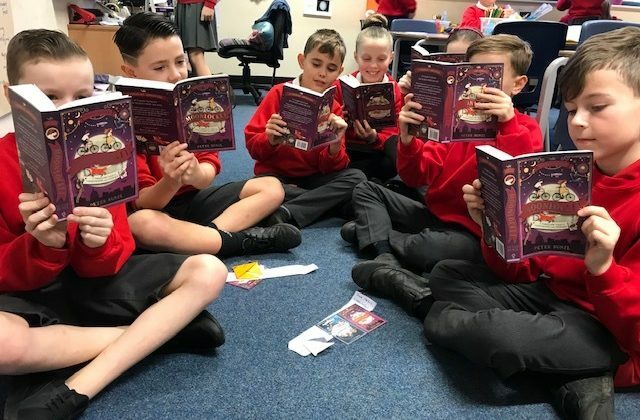 It was an opportunity to ask questions, (the children certainly had lots) and to learn about the inspiration behind his three books: Cogheart, Moonlocket and Skycircus. 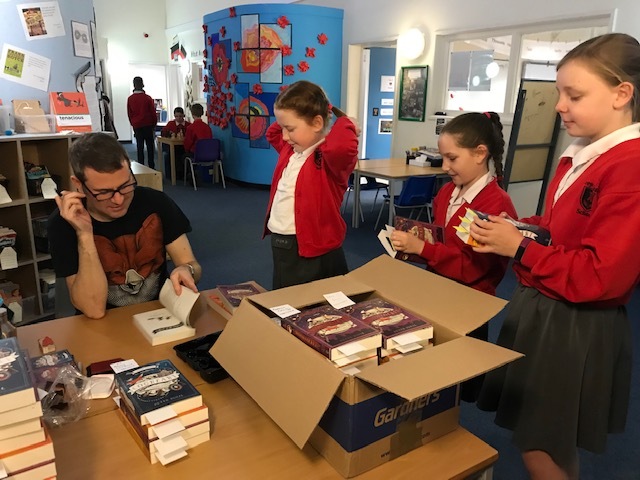 Many children purchased the books and brought copies from home too. 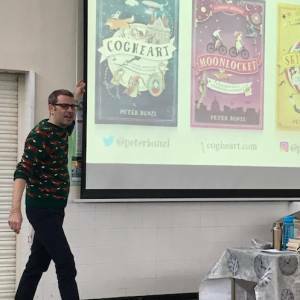 Peter was overwhelmed by the excitement and enthusiasm the children showed for the texts and the quirky characters within them. 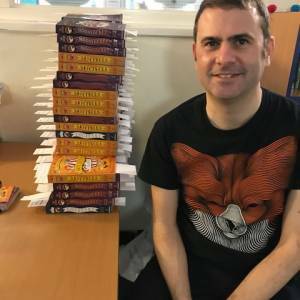 Every book was individually signed and I know they will cherished and enjoyed for years to come.